890.00 sqft. - 1070.00 sqft. Integrated Panchabati Surpara is a premium housing project at Chandannagar in Hooghly. The project is ready-to-move and the residents can enjoy several amenities including as . Social infrastructure like banks, schools and parks surround the area. It is also very well-connected to various parts of the city by public transport network. Located on the Hooghly River, Chandannagar has been able to maintain a separate identity different from all other cities and abide by her own characteristics. Formerly known as Chandernagore, it is connected to Kolkata by railway, roadways and river. Chandannagore Strand, Chandannagore Museum and Institute, the Sacred Heart Church of Chandannagar, the Underground House and some of the ancient temples are the places that can be visited every now and then. G.T. Road or Delhi Road is the vital stretch for the residents to travel within the city or state. Netaji Subhash Chandra International Airport is also an hour’s drive from here and the Howrah station is easily reachable as well. One can get hold of very good international level schools in and around the locality. Some of the notable ones include St. Joseph’s Convent, Auxilium Convent etc. Delhi Road is also situated nearby and the availability of taxis, shared cabs, buses, autos make the roadway communication comfortable. Intigreated Construction Company is known for its powerful manpower and brilliant performance in the Real Estate industry. Since the company has been established, it has proved its worth and value by providing nothing but the best quality to the clients and customers. This Real Estate Company firmly believes that only quality can be the best measurement of a company's worth in true sense. It has built a reputation based on its unique approach and its customer friendly ways. The company is a well known entity and has set unmatchable standards. 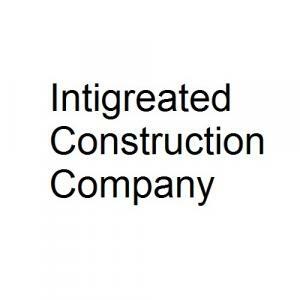 Intigreated Construction Company is considered as one of renowned companies in the Real Estate arena.